Stan and Lois Celebrate 62 Years Together!! March 3rd. 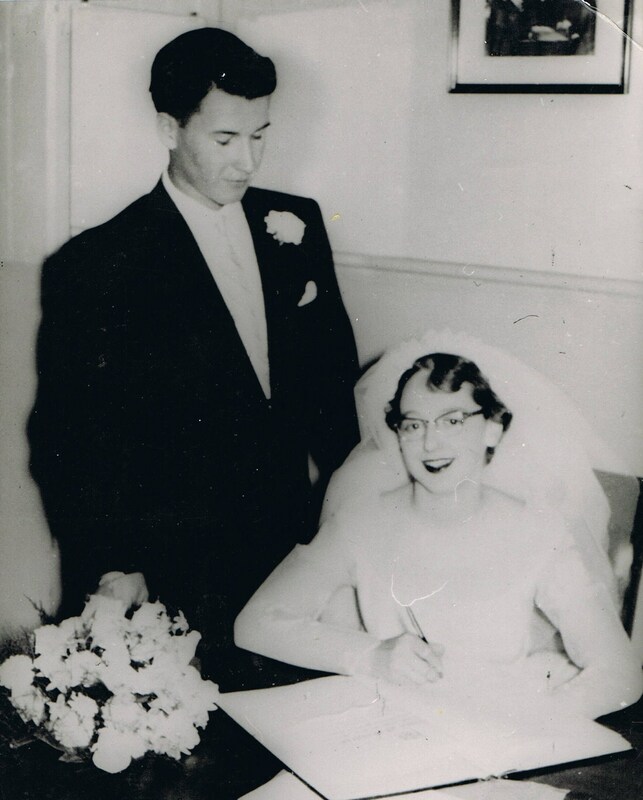 Lois and Stan sign the Register on . March 3rd, 1956. 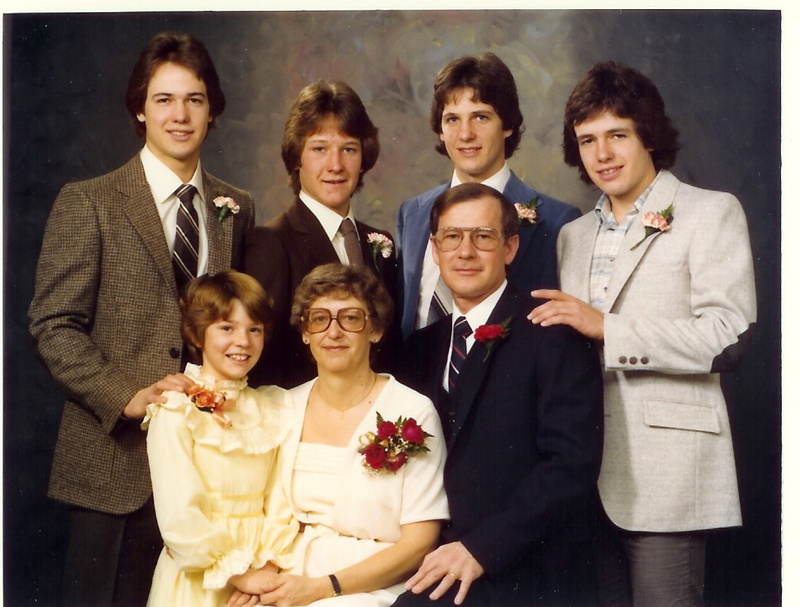 25 years later we have 4 sons and 1 daughter!!! AND, after another 25 years, we have 7 wonderful Grandchildren!! (Click once on any pic to expand, especially the pic with the grandchildren!!) 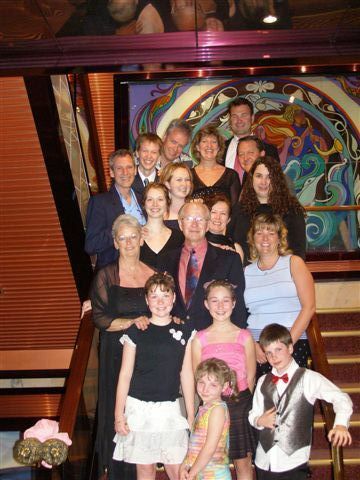 For the 50th we went on a cruise. EVERY member of the immediate family was able to participate!! At time of writing we have 3 Great Grandchildren! Lois and I will be taking a 7 day cruise, departing Sunday, March 4th, and returning March 11th. As Wilbur Estes used to say: “Life is Good”. Health and Happiness to each reader. Stan and Lois 2018 03 03. 20 Responses to Stan and Lois Celebrate 62 Years Together!! March 3rd. Congratulations to you both, but most especially to Lois! Congratulations. Were you married when you were 10? Hey Max! How did YOU KNOW???? Congratulations Lois and Stan . Wishing you many more happy years together. We heartily echo all of the above Congratulatory Sentiments, Stan & Lois! Happiness and Health to you both. Congratulations on your anniversary, have a wonderful time on the cruise. Wishing you both health and happiness in the years to come. Bill and Maureen. Super congratulations to a super couple and a super family. Great pictures too. Congratulations! You are a special couple. Congrats to both of you. Time Flys when you are having fun. You have had an active and energy filled 62 years with never a dull moment. Keep active and keep safe. Happy Anniversay Stan & Lois. 62 years….that’s wonderful. Enjoy your cruise. May you both be blessed with good health to enjoy many more years together. Dale & I hope that you have a very Happy Anniversary! Congratulations and how awesome is your family!! !